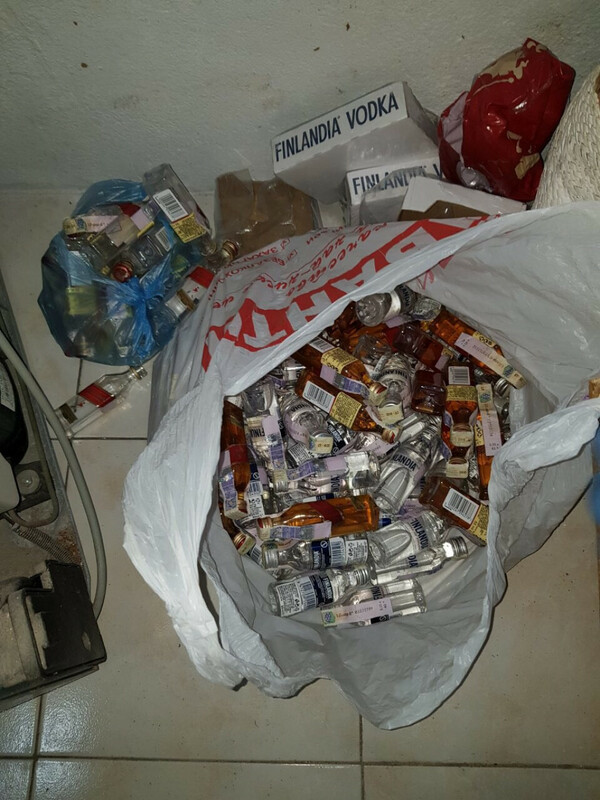 A large number of liquor bottles have been discovered in a local guest house in Mathiveri island of Alif Alif atoll. Maldives Police Service revealed that they received a tip that alcohol trade was being carried out in a guest house, and the property was inspected by the police on Monday night. Upon inspection, more than 70 bottles of liquor were discovered in addition to several empty bottles. Two people were arrested during the raid. Being an Islamic nation, the trade and consumption of alcohol is banned for the local population in Maldives.